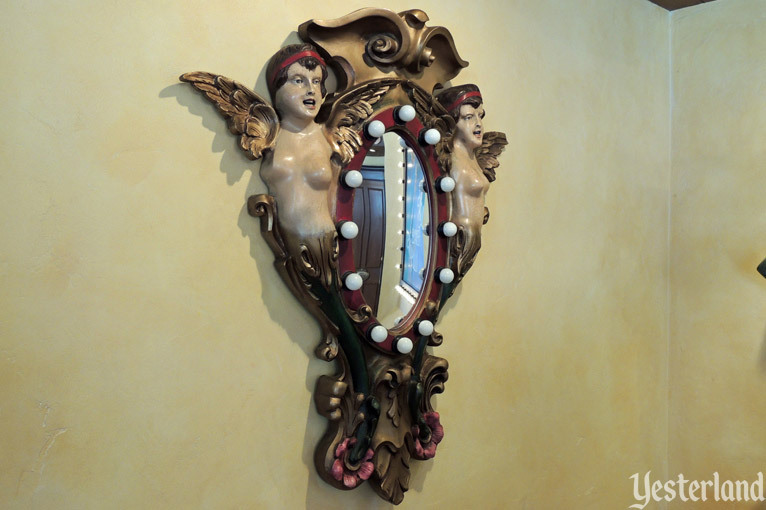 The exterior is a stucco box perforated by a series of openings and decorated with tile trim. 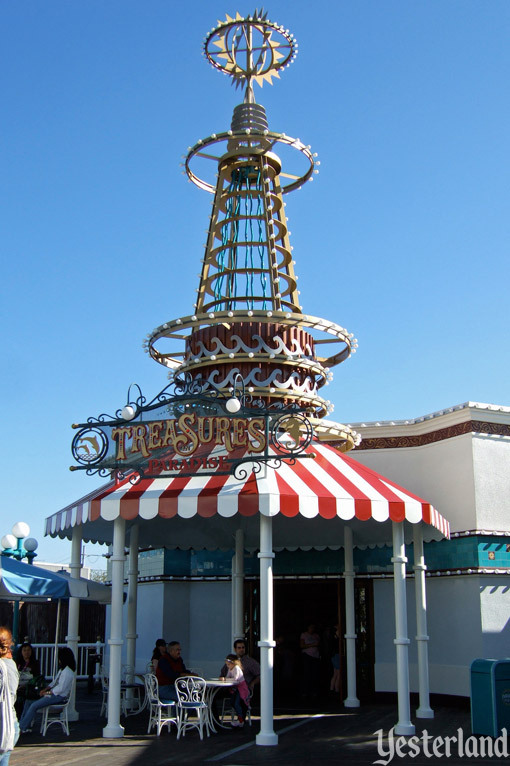 A striped canopy in one corner is topped by an elaborate tower with the main sign at its base. 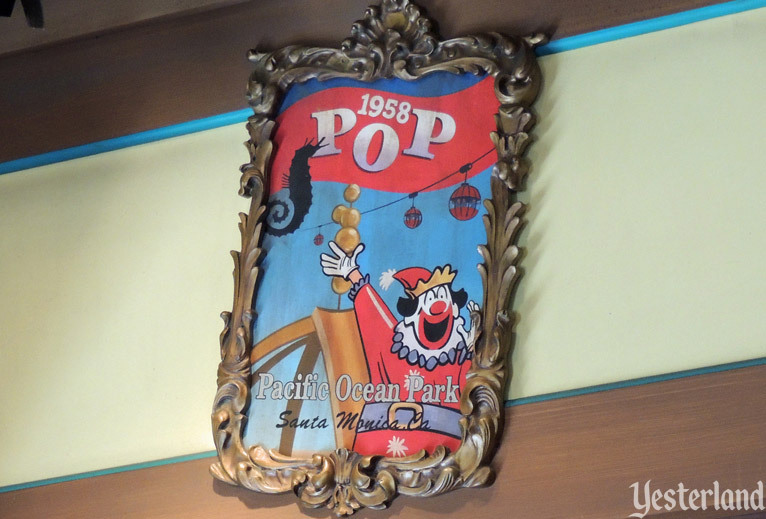 The decor here features artifacts that harken back to the great California amusement piers of the early 20th century. 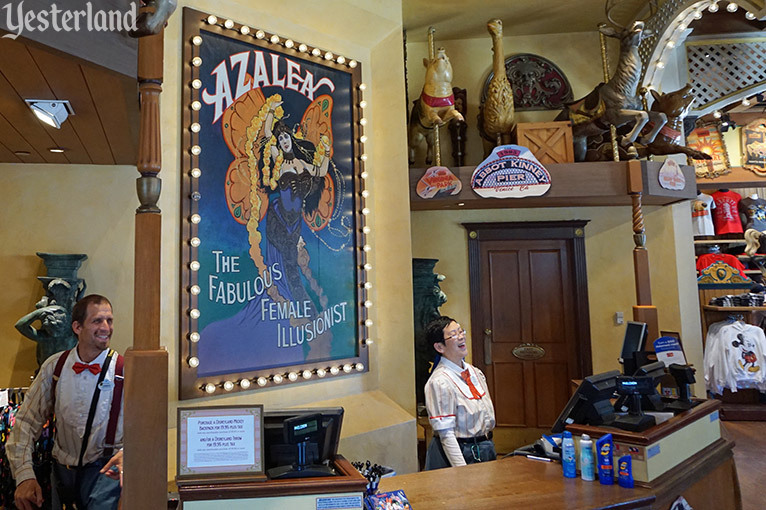 Treasures in Paradise might be the best themed shop at Paradise Pier. 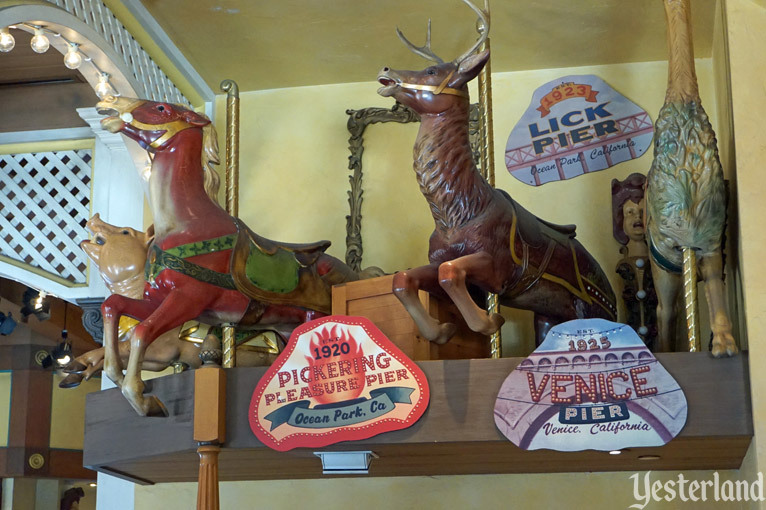 Okay, real shops at amusement piers of the early twentieth century would not have contained carousel animals and emblems of competitors. 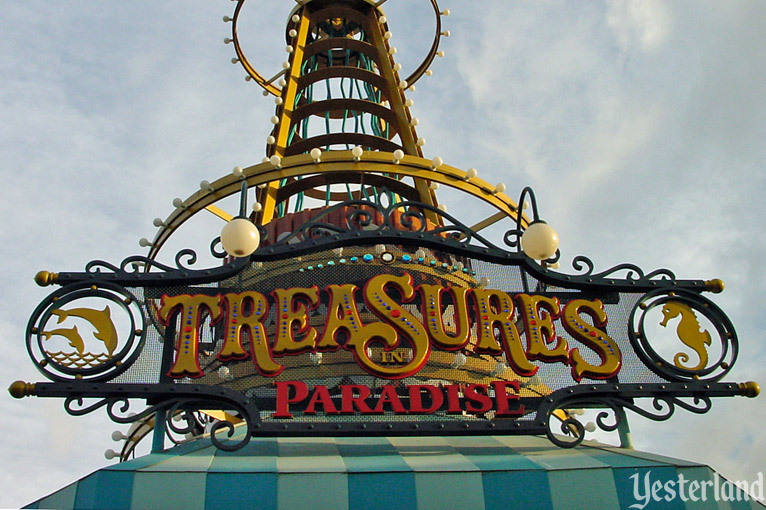 But, hey, Treasures in Paradise still comes across as much more authentic than Man Hat n’ Beach. 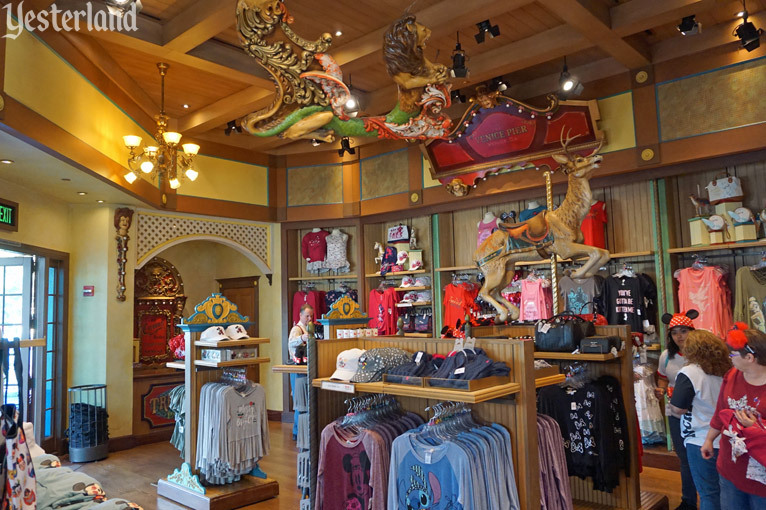 Treasures in Paradise was an opening-day shop at Disney’s California Adventure (now Disney California Adventure). 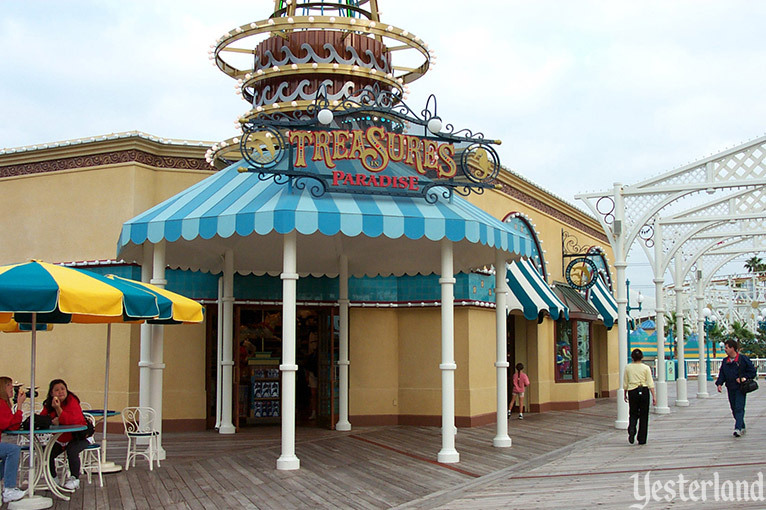 Its official opening date was February 8, 2001. 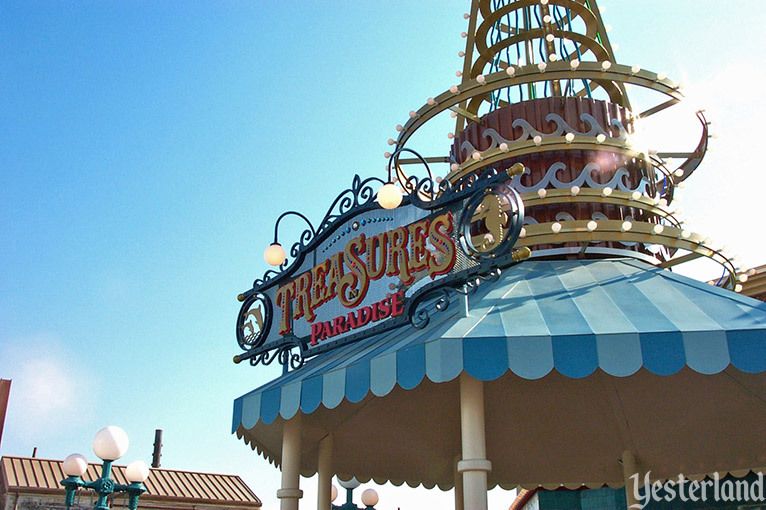 The exterior color palette of Treasures in Paradise changed during an early round of placemaking at the park. 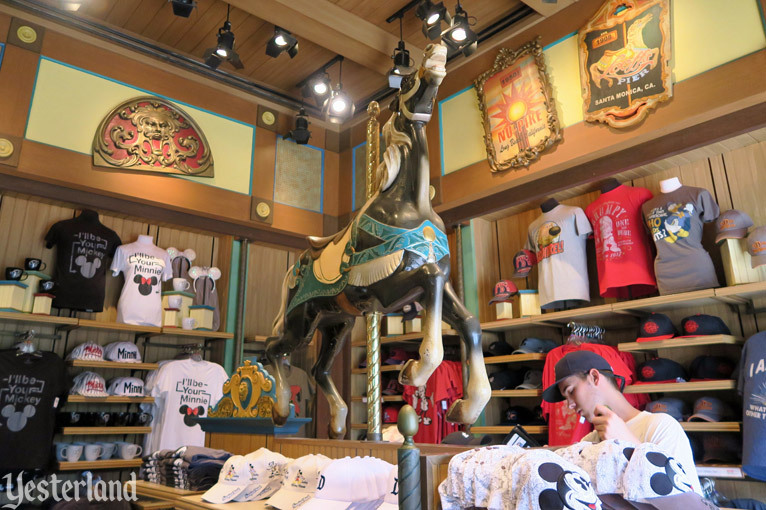 The store operated for almost 17 years without any major changes inside. 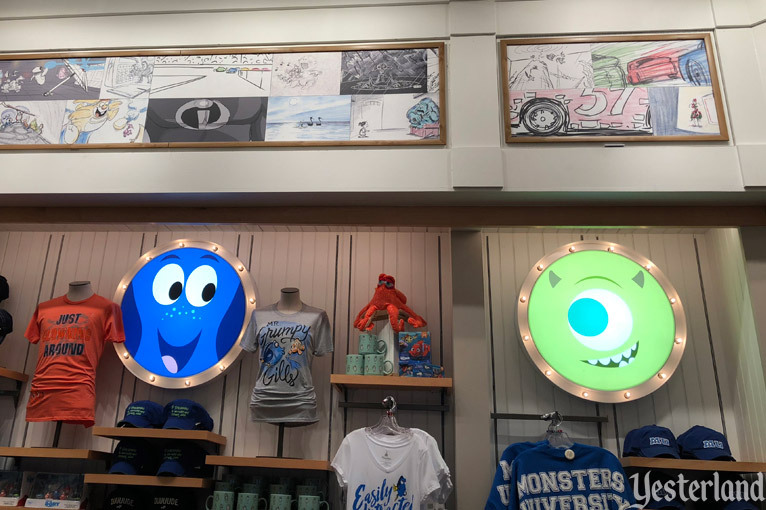 The merchandise changed, but the decor didn’t. 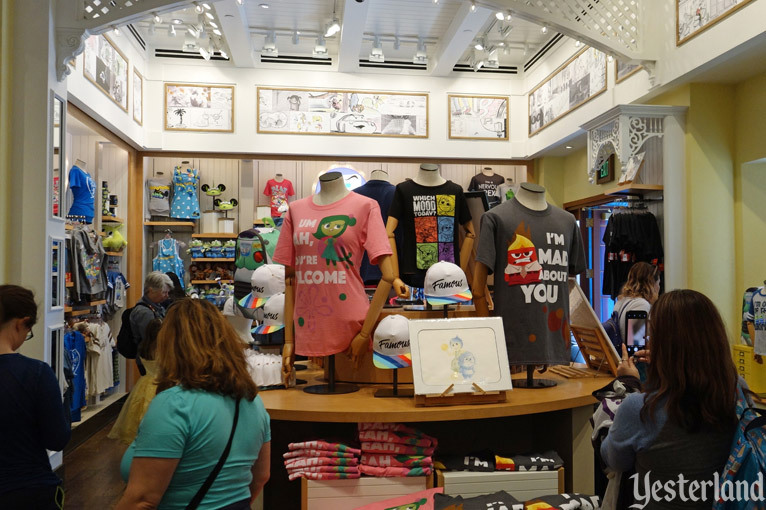 Tokyo Disneyland had a big merchandising success with Duffy, the Disney Bear—the teddy bear with a Mickey Mouse silhouette on his face. 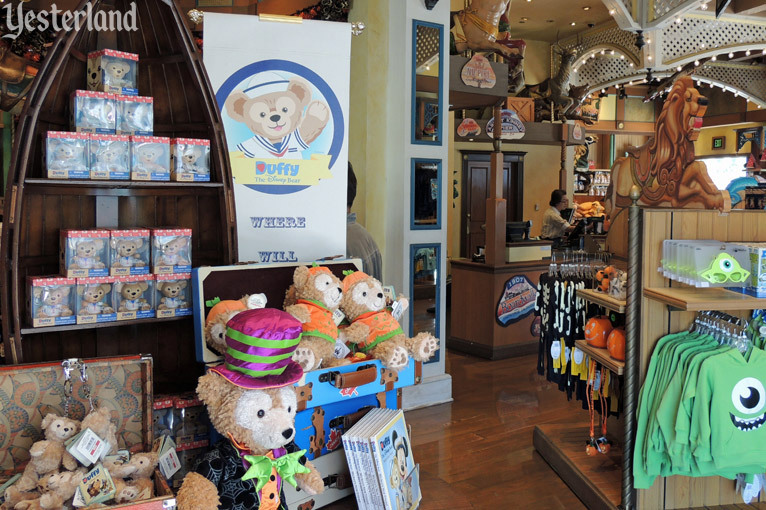 Hoping to replicate this success, Disney California Adventure introduced a Duffy meet-and-greet near Treasures in Paradise in 2010—with Duffy bears, outfits for the bear, books, and accessories inside. 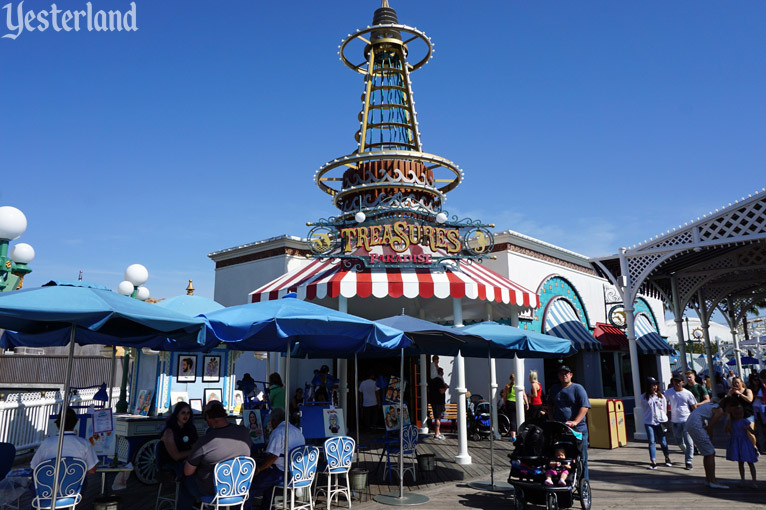 Who could resist a $25 teddy bear and a $15 sailor outfit? 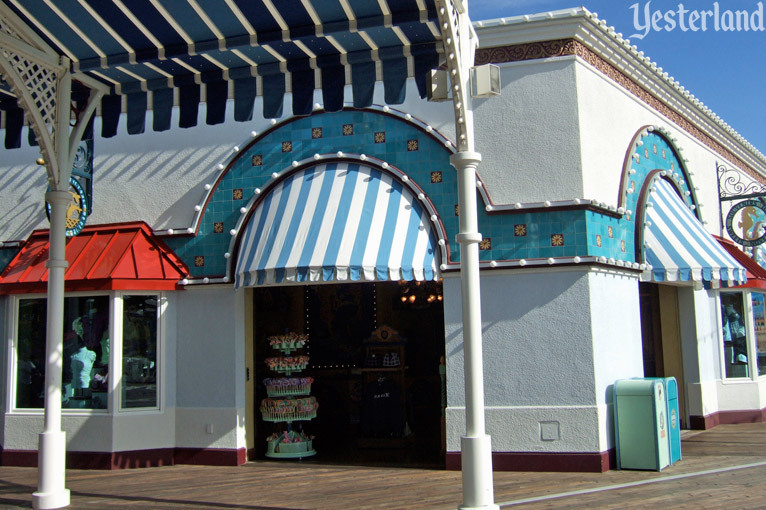 The Duffy meet-and-greet lasted four years in California. 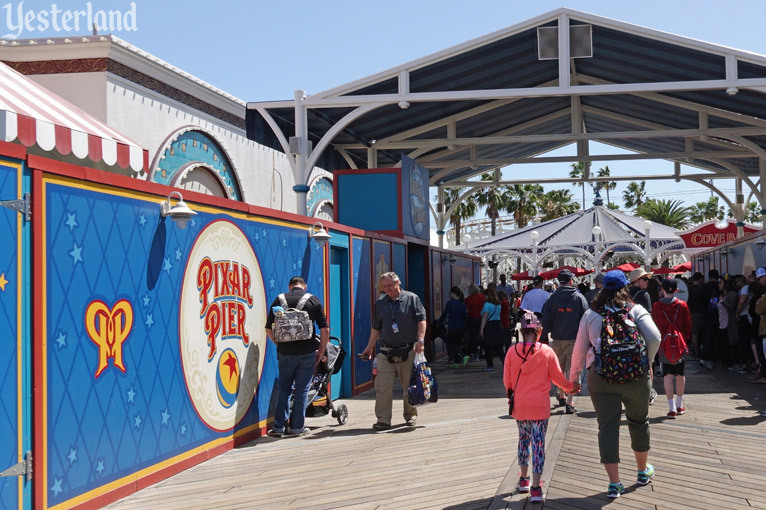 When Paradise Pier began its transformation into Pixar Pier on January 8, 2018, Treasures in Paradise closed permanently. 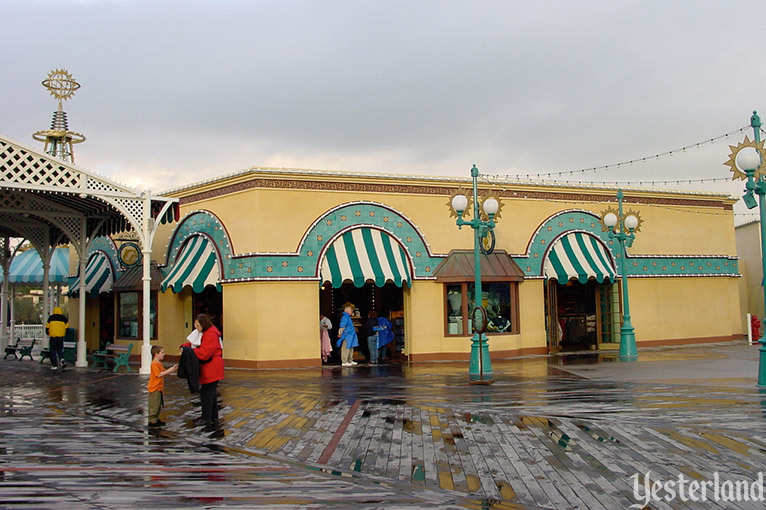 The building remained, with its tower modified. 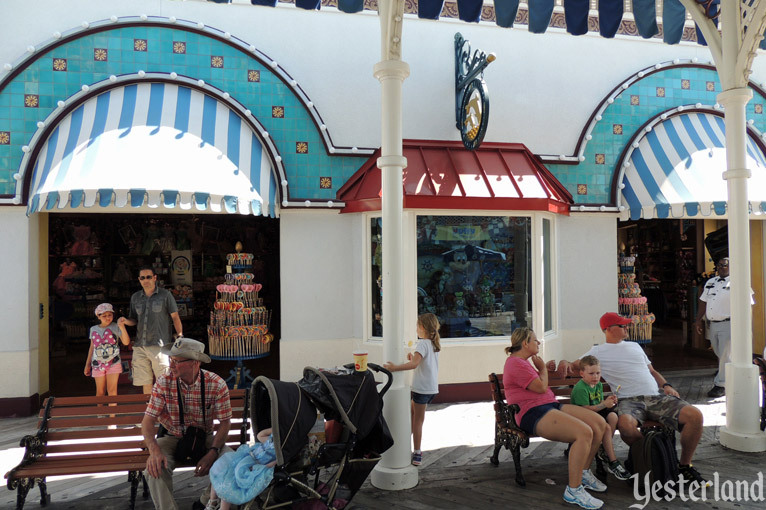 Its interior would be unrecognizable, even though the trim and lattice from the old store were reused, often just with a coat of new white paint. 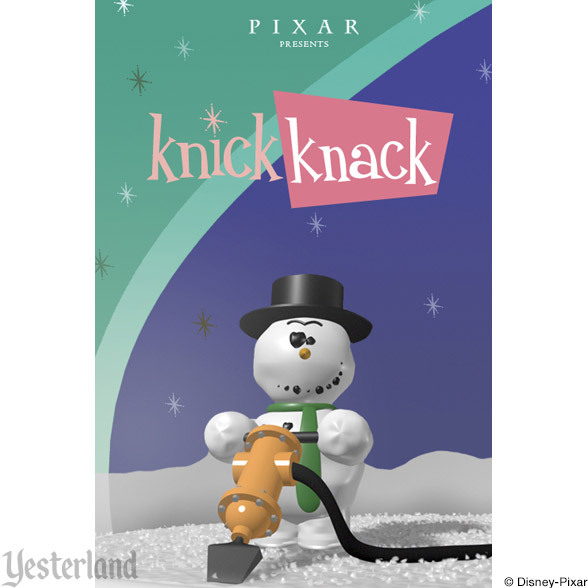 Knick Knack was a Pixar short, written and directed by John Lasseter, with original music by Bobby McFerrin. 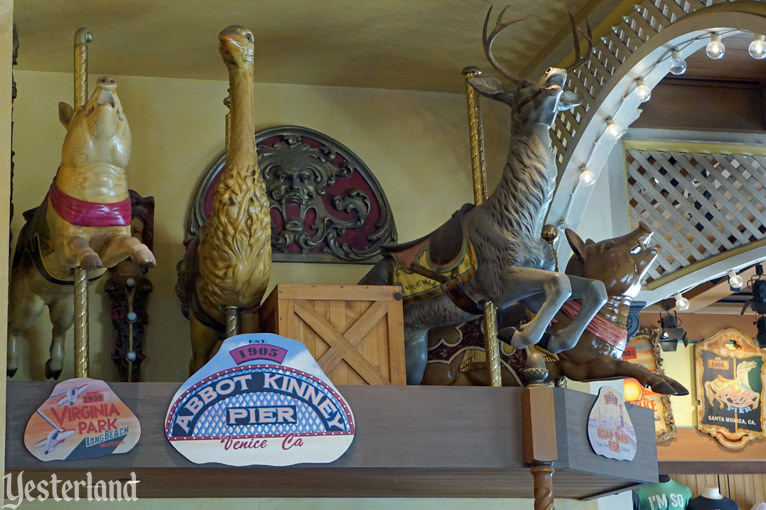 In a series of gags, a snowman seeks to escape from a souvenir snow globe, enticed by the tropical knick knacks nearby. 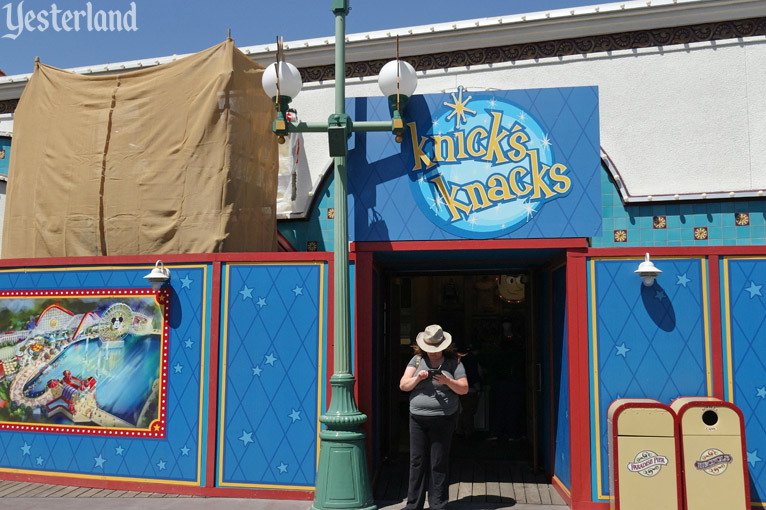 There were two versions of Knick Knack. 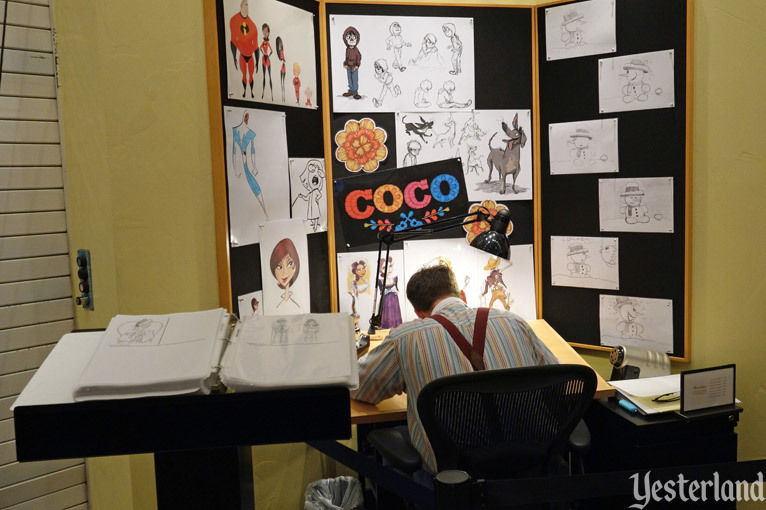 The original wowed computer graphics professionals at the SIGGRAPH conference in Boston, July 1989—more than six years before the November 1995 release of Pixar’s first feature, Toy Story. 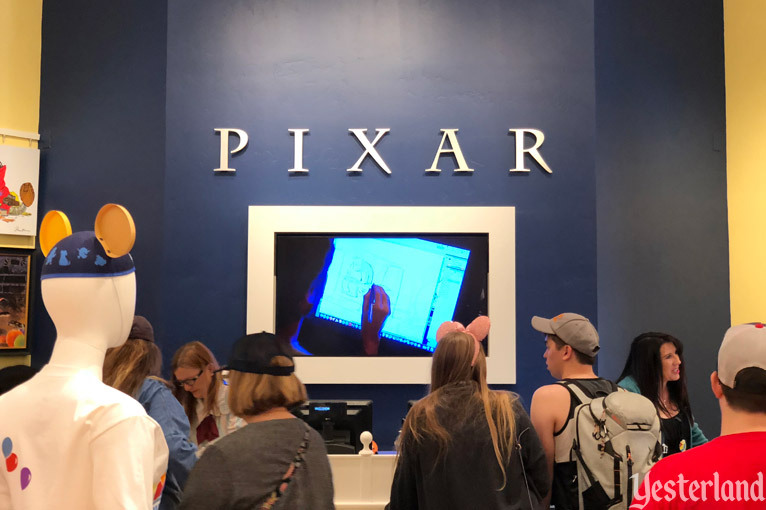 It was the fifth short from Pixar if you start with The Adventures of André & Wally B. 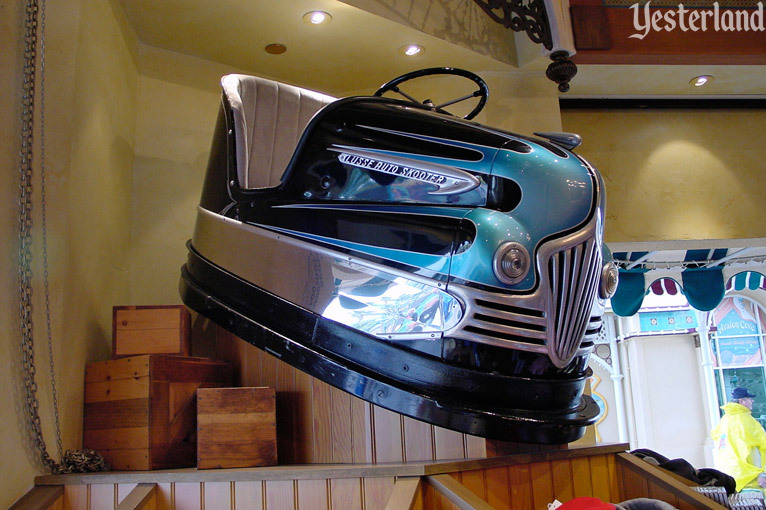 (1984) from the part of Lucasfilm that would become Pixar in 1986. 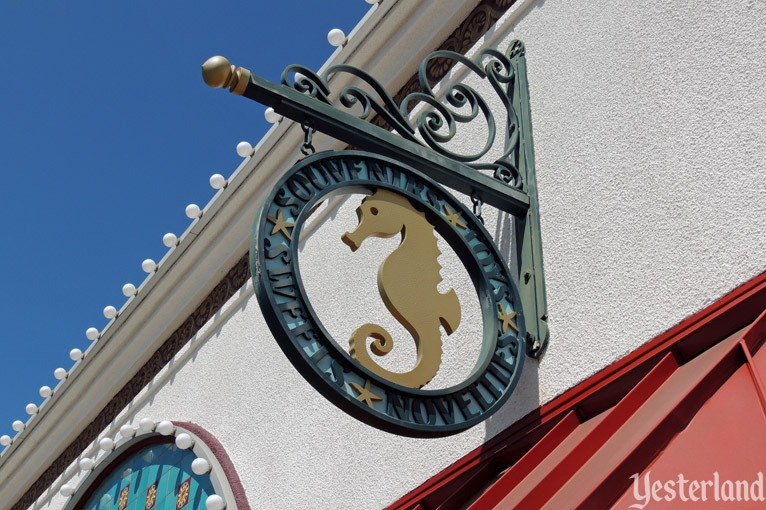 A 2003 remake of Knick Knack was part of the theatrical release of Finding Nemo. 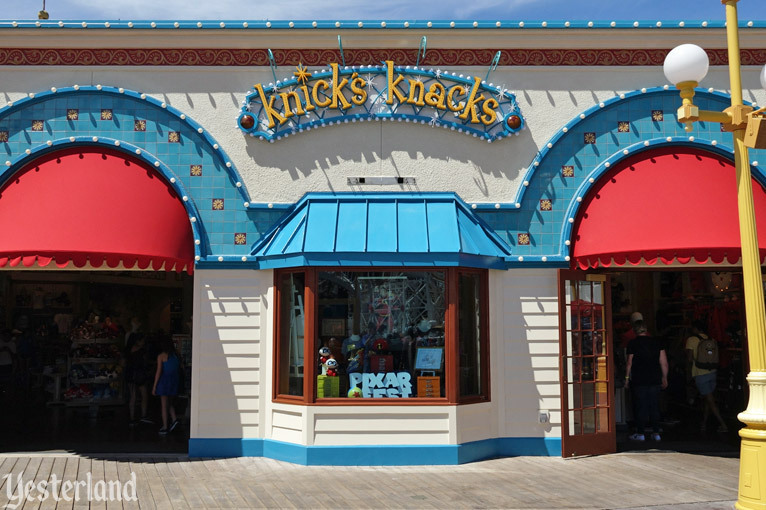 Nineteen years after its original release, a playful modification of the title Knick Knack provided the name for the store that replaced Treasure in Paradise—Knick’s Knacks. 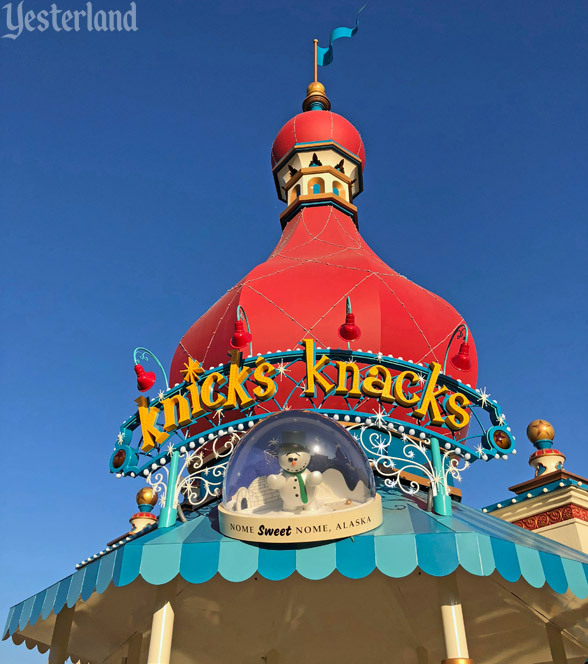 Knick’s Knacks is a fitting name for a store that celebrates Pixar animation at the entrance to Pixar Pier—and sells knickknacks, among other things.